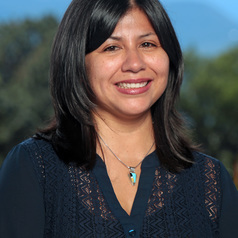 Christina Leza is a linguistic anthropologist and Yoeme-Chicana activist scholar whose research addresses indigenous peoples, racial and ethnic discourses, grassroots activism, indigenous rights, cognitive anthropology, and the U.S.-Mexico border. A native Arizonan with strong ties to both the El Paso-Ciudad Juárez and the Tucson-Nogales border regions, her publications include work on U.S.-Mexico border hip hop as identity and social movement discourse and indigenous activist discourses. She is an Associate Professor of Anthropology at Colorado College.